We talk a lot all about working with the space you have to grow your garden. Whether that’s a backyard, a farmstead, or simply container gardening – where there is a will there is a way to a farm fresh lifestyle. In this episode we talk about a very creative and inspiring use of space – right in the middle of New York City (and it’s not Central Park). 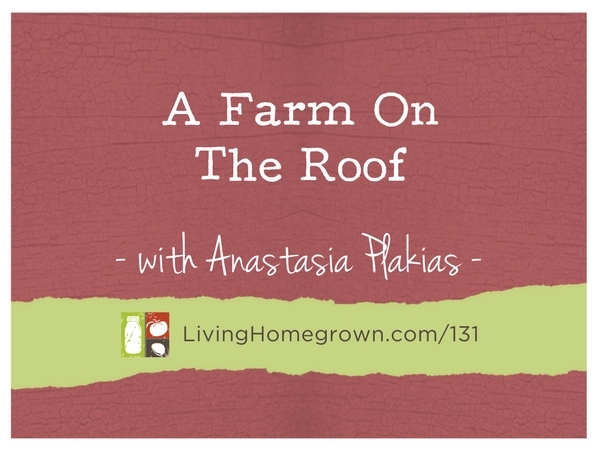 I’ve invited Anastasia Plakias, author of The Farm on the Roof, and one of the founding members of Brooklyn Grange, to talk about an actual farm that is acres large on top of buildings in New York City. She shares how this project is changing the way city folk think about agriculture and organic farming in a way that no one was expecting. I hope you find it as inspiring as I did! A native New Yorker, Anastasia Cole Plakias was born-and-raised in the West Village, where her experience gardening was limited to growing lima beans on her sixth floor apartment windowsill. AsFounding Partner and Vice President of Brooklyn Grange Rooftop Farm, the leading green roof farming business in the US, Anastasia has worn many hats over the years: she developed the farm’s Events program, ran the Sales department, and continues to manage its Communications and External Affairs, focusing on creating strong and meaningful connections between the farm and the communities it serves. 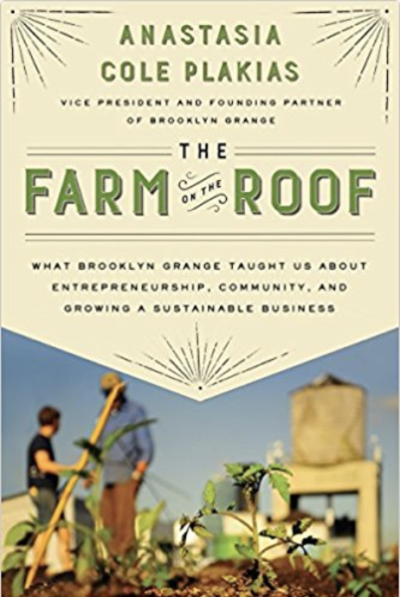 In April, 2016, she published The Farm on the Roof: What Brooklyn Grange Taught Us About Entrepreneurship, Community, and Growing a Sustainable Business. 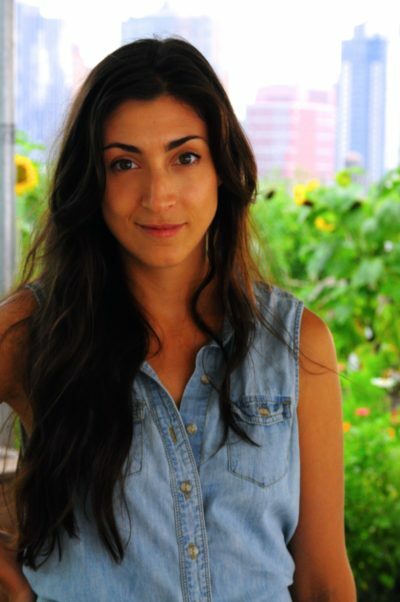 She co-founded the farm’s sister non-profit organization, City Growers, and continues to serve as a Board Member. Her passion for educating others about food, farming, and entrepreneurship is outweighed only by her enthusiasm for obscure vegetable trivia. A published writer and photographer, neophyte bird nerd, and avid home cook, Anastasia is dedicated to making her native city a greener and more sustainable place to live. It was wonderful to hear this update of Brooklyn Grange’s rooftop garden since the GGW show. It ‘recharged’ my thoughts for my small container and raised bed garden all the way in the Northern California mountains. It was inspirational to hear the passion and understand the challenges overcome to grow and expand the gardens. Thanks Theresa for yet another creative and thought-provoking podcast that touch so many of us in so many ways! You are welcome Laura. So glad you liked it!